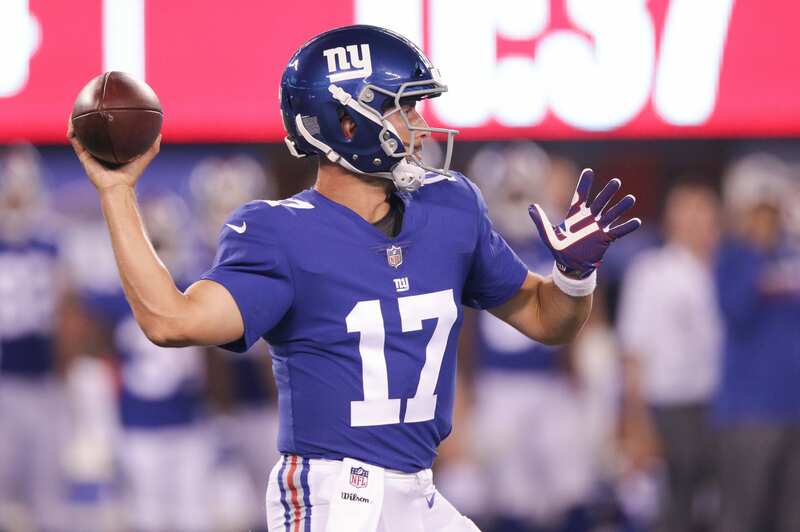 When the New York Giants selected fourth-round quarterback Kyle Lauletta, it was expected that he would be a project for HC Pat Shurmur to work on. Shurmur is known for his ability to mold quarterbacks and utilize them to their strengths, Unfortunately, Eli Manning has been a bit different in terms of molding. You simply can’t train an old dog new tricks. The veteran passer has been abused over the years by porous offensive line play, which has clearly scarred him when standing in the pocket. He seems nervous and rushed at all times, which allows the opposing defense to play accordingly. His weakness are on full display at this stage in his career, which is why I’m inclined to believe the Giants might have a better shot at success with Lauletta starting. But what does the rookie bring to the table, and when will the Giants decide to use him? There’s evidence to prove that Shurmur and the Giants will not use Lauletta until they’re mathematically ruled out of the post-season. That would make the most sense, as the team would be development mode. The Richmond product would be expected to fill the shoes of a 14 year starter and icon in the NFL. This will be no east feat, but players and coaches have raved about Kyle’s calmness and ability to efficiently deal with pressure. During the pre-season, Lauletta looked good at times, but showed questionable accuracy on deep balls. His ability to feel pressure in the pocket and extend plays was apparent, and his short to intermediate passing game was stellar. My biggest issue was his arm strength and accuracy down field. On several passes the ball was overthrown by a few yards, mainly due to Lauletta lofting the ball where it could hang in the air for far too long. He threw two interceptions in his lone start against the Patriots in the pre=season finale. Both were on poorly thrown deep balls. Practice has told a different story for the rookie, thought, as he put zip and a perfect spiral on each ball. The rookie jitters must have gotten to him in his first professional action. We can expect that he will work on those aspects of his game, but it’s essential that he receives some game-time this year so that the coaching staff can truly evaluate him.